We caught the American Dream Tour last week when it hit Irving Plaza in NYC. 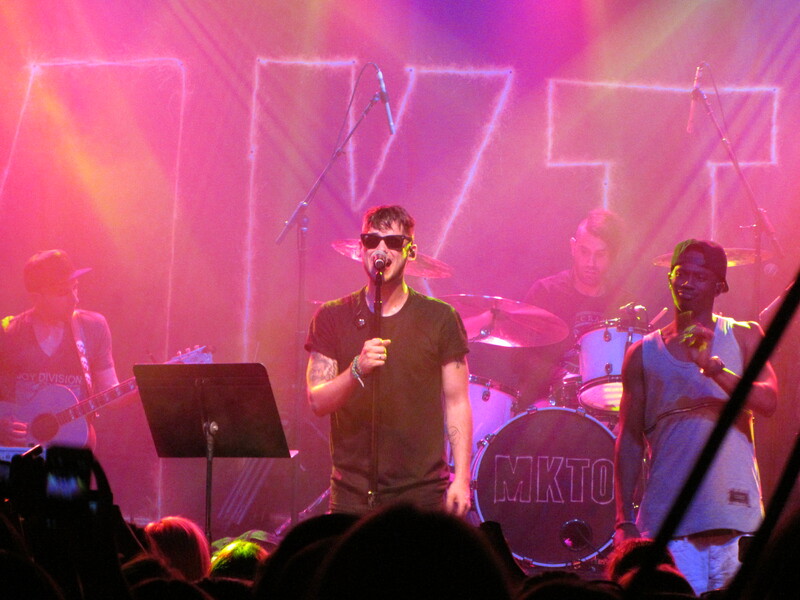 It was an awesome lineup already, with Tiffany Houghton and Action Item opening for MKTO. But we were even more excited when an old favorite, Patent Pending, was added to the New York show! We unfortunately only got to see the tail end of Patent Pending’s set, but their energetic live show and infectious energy had the entire crowd pumped up. Check out their latest project, Mario & The Brick Breakers. Tiffany Houghton was up next! We discovered Tiffany when she followed us on Twitter one day, and we’re so glad she did! We instantly fell in love with her pop country sound and fun style. Her live performance did not disappoint. Tiffany is a perfect blend of sweet and sassy, just like her new single “The Best.” Of course our favorite moment of her set came when she sang “Band Boy,” complete with a cover of 5SOS’ “She Looks So Perfect.” She certainly won over all of the fan girls in the audience (she’s one of us!) Watch her performance below. If you can make it to the American Dream Tour, go!!! There are a few shows left before the tour wraps up in Chicago next week. MKTO will also be back in NYC for the US Open Arthur Ashe Kids Day on August 23rd with Hunter Hayes & The Vamps! Get more info HERE! Be sure to follow MKTO, Tiffany Houghton, Action Item, Patent Pending & Secret Fangirls on Twitter for more updates!